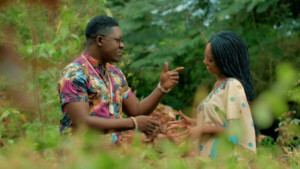 Oyinkanade, just after serenading us with the audio of his sophomore single Sweetim few weeks ago, the talented artiste and Adura crooner stews everywhere with the Zuri Directed Visuals of his sophomore single. The Project fame superstar has been getting loads of accolades and airplay across the country and beyond for the job well done on the single “SWEETIM” with a crispy clean and smart video more accolades will definitely be in the bag for this talent. Oyinkanade reveals this is just a tip of the iceberg as more collaborations with the industry heavyweights will be wowing his fans and lovers pretty soon.